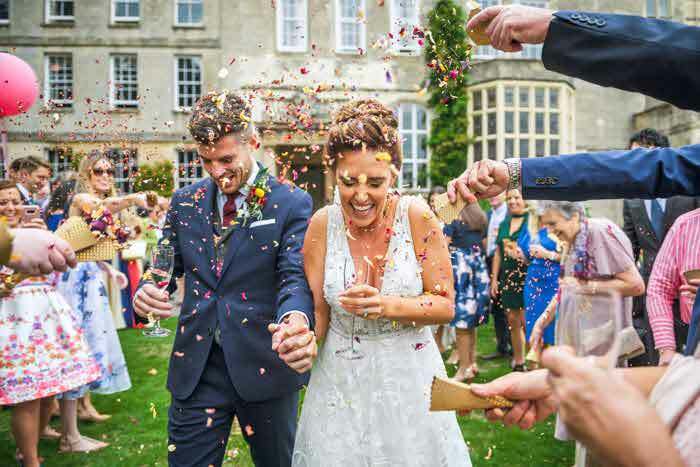 Making sure that everyone kicks back and enjoys a good dance is an important part of any wedding plan – weddings should be fun, so we’ve asked Daniel and Tom to share their expert insight into that very question. 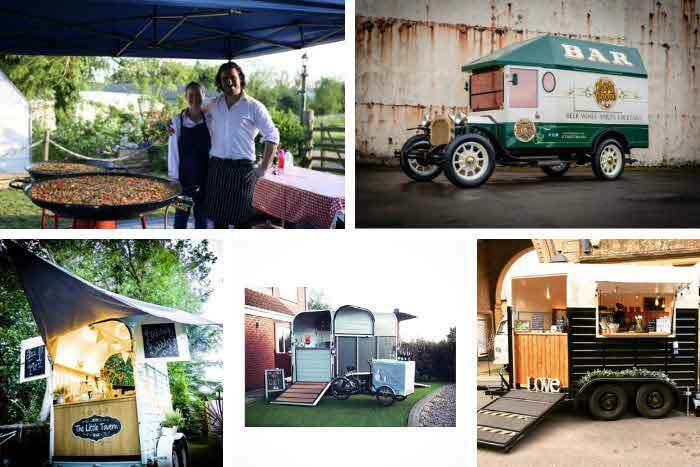 Don’t miss his top tips on how to ensure your guests are having the best time possible. 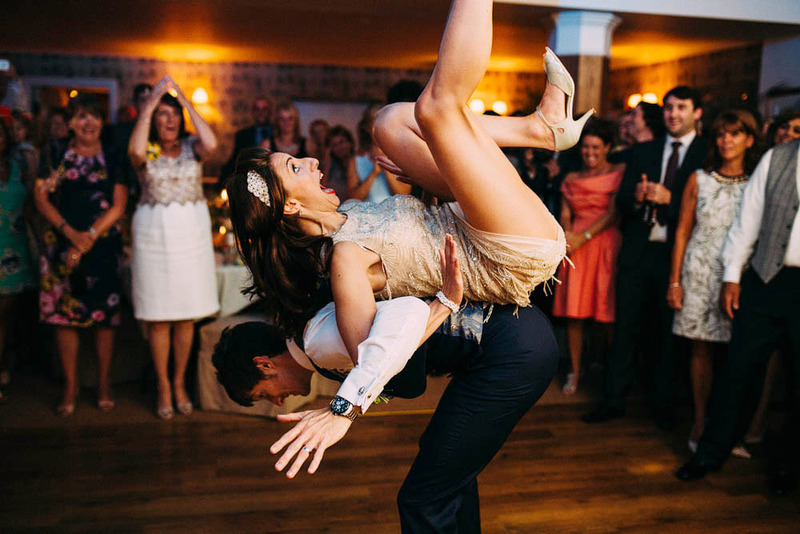 And to illustrate the point, we’ve asked the talented wedding photographers at the 20Collective to share their top crazy wedding dance floor stories and pictures, to show us what you could be missing, and of the fun you could be creating. Enjoy! "I love to get stuck in when the dancefloor kicks off. It’s the only way to really get a feel for what is happening and be able to translate that into images. 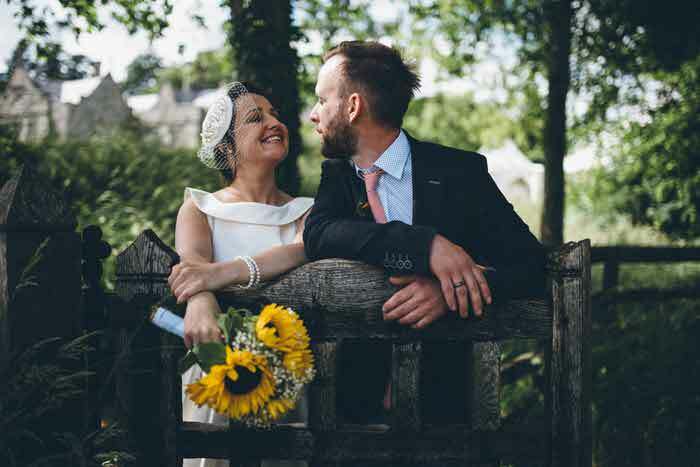 Tim and Alexa partied hard after their wedding at Utopia at Broughton Hall - and it was so much fun to capture for them," said Andy Gaines. 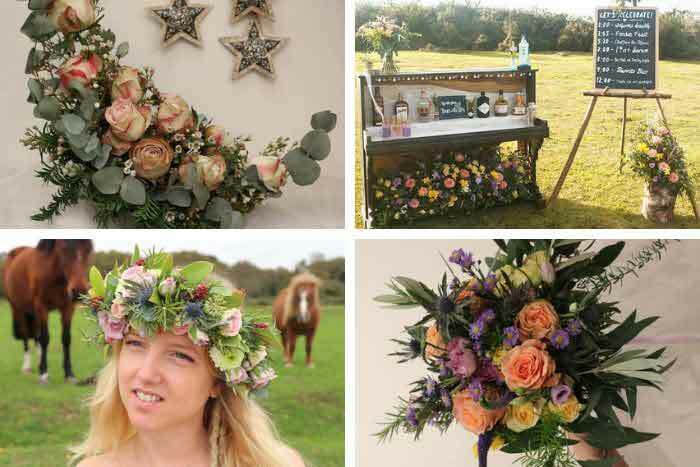 If you’re having a marquee wedding, what can you do to transition from dinner and speeches to a party atmosphere? The marquee can be completely transformed during the room turnaround. We are all about the next element of surprise - making a statement with the aesthetics can be just as important as the entertainment itself. The most simple elements can make dramatic changes… starting with lighting. The lighting can alter the feel and ambience of a room with very little complication. Furnishing can be changed: remove tables and add in casual seating areas. Most importantly, create a focal dance floor area in the room. If you focus your aesthetics around the dance floor area, change the usual white draping for a black lining. Where the floor is more exposed after removing furniture, why not install an LED dance floor. There are plenty of options - you just need to be guided in the direction that is right for you. "We live for the dance floor moments at a wedding - they are always some of our favourite times and we always stay late to capture all the craziness! Late at night everyone really lets go and are so relaxed and you see so many amazing characters. 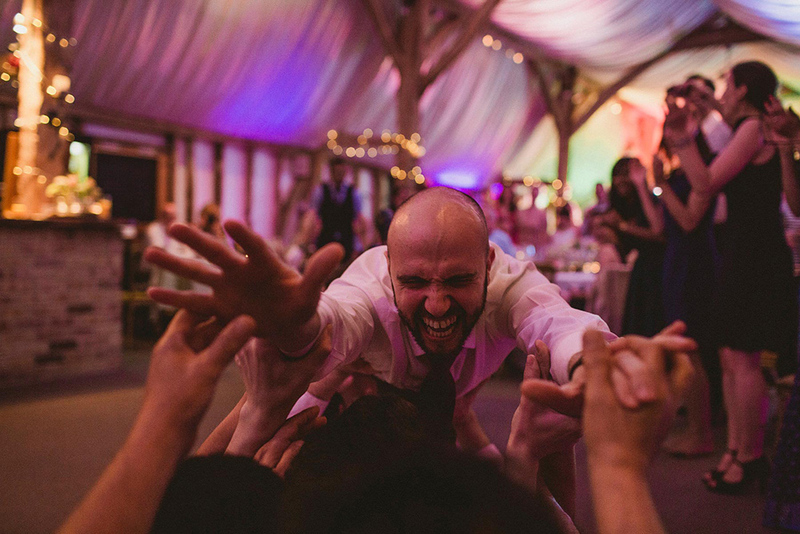 We love this one of our groom Hernan at South Farm as we hit the final hour of the celebrations and the boys decided to play an awesome traditional (if a little dangerous) Jewish game!" say photographers York Place Studios. Do you have go-to songs that always lift the party? Yes! We have a number of ‘big’ records which are guaranteed to lift the party to the next level. With our club and bar background and house music becoming more popular than ever, using classics such as Solu Music’s ‘Fade’ and ‘Strings Of Life’ by Soul Central are always guaranteed to get the party going. Our DJs know how to read a crowd, so having an exact direction in terms of music selection prior to your big day isn’t always necessary. If the dance floor is busy then the DJ has done his job… whatever works on the night will be purely down to the vibe and the atmosphere that’s created on the night. 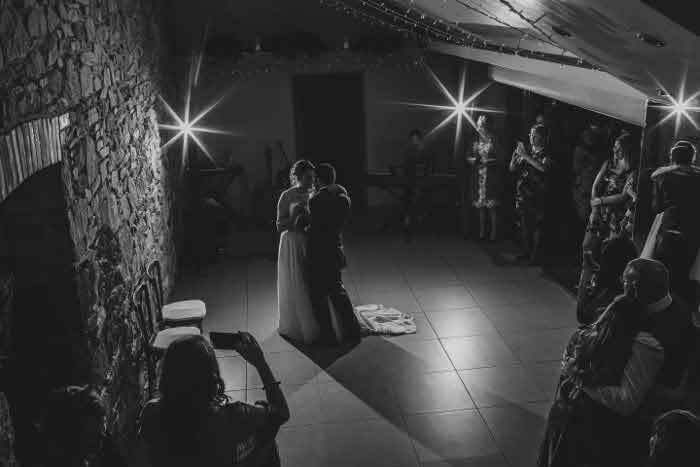 "This image, taken at Poundon House in Oxfordshire, is one of my favourite dance floor shots. I really love it when both the bride and groom stay on the dance floor - it keeps the party going. 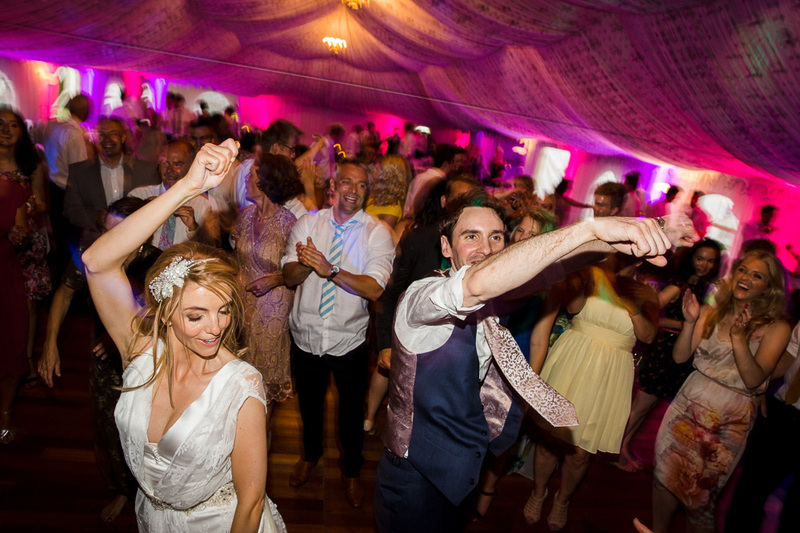 Here, Laura and Phil are busting some moves on the packed dance floor, I was able to shoot from a stage to get a higher viewpoint," says photographer Adam Riley. Should a DJ be expected to pre-visit the venue to check acoustics? 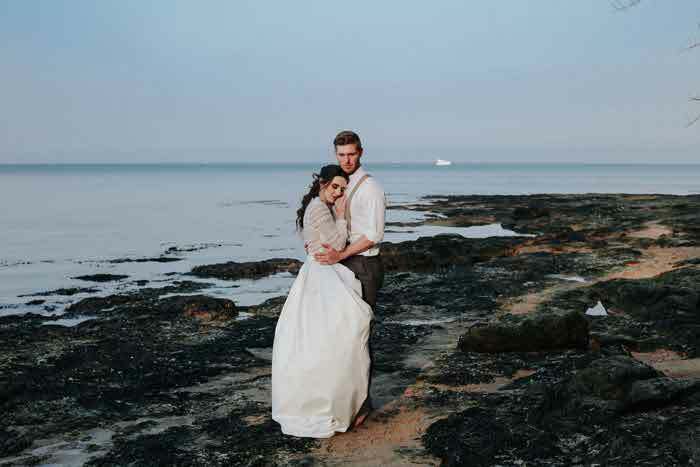 Is that something to consider when choosing a venue? Absolutely. If sound quality is a concern, then members of our team would usually do a site visit to get an idea for the layout and feel of a venue. 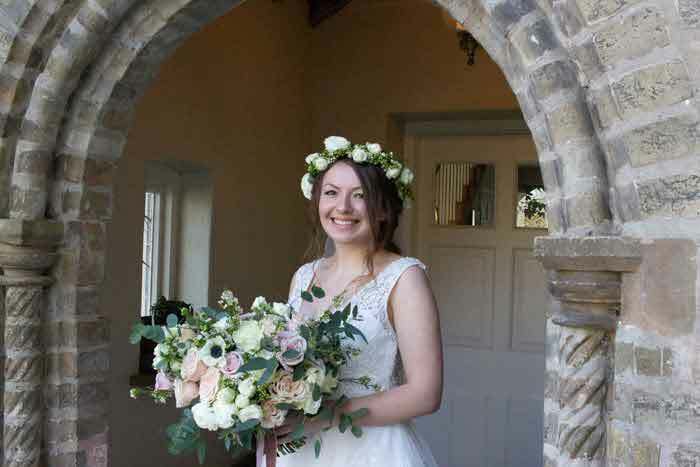 The room size and guest count can make a massive difference to the size of system that would be required for your wedding and making sure that the sound is of the highest quality is imperative. It might not be something that DJs would be aware of, but using a professional service that caters for your production (sound and lighting requirements) in addition to booking the talent for your wedding is sure to give your wedding the perfect setting for the ultimate party vibe. Remember that all venues are different, so it's difficult to choose a venue around acoustics, but making sure that you have a team that is on hand to help in this situation will always help - this is where the six15 team come in! 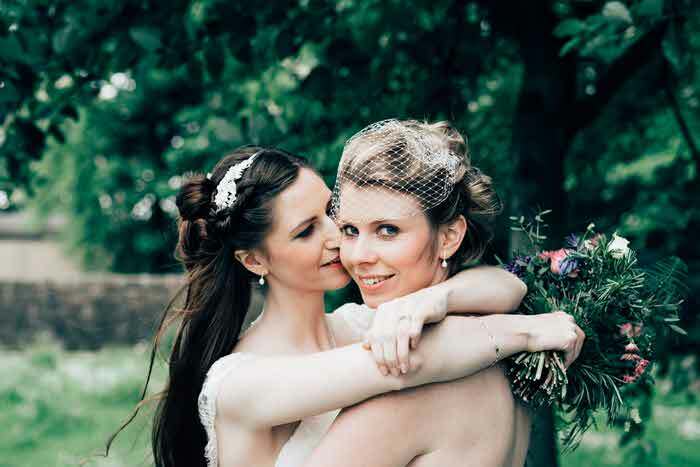 "This image was made at The Monastery – an awesome wedding venue in Manchester. 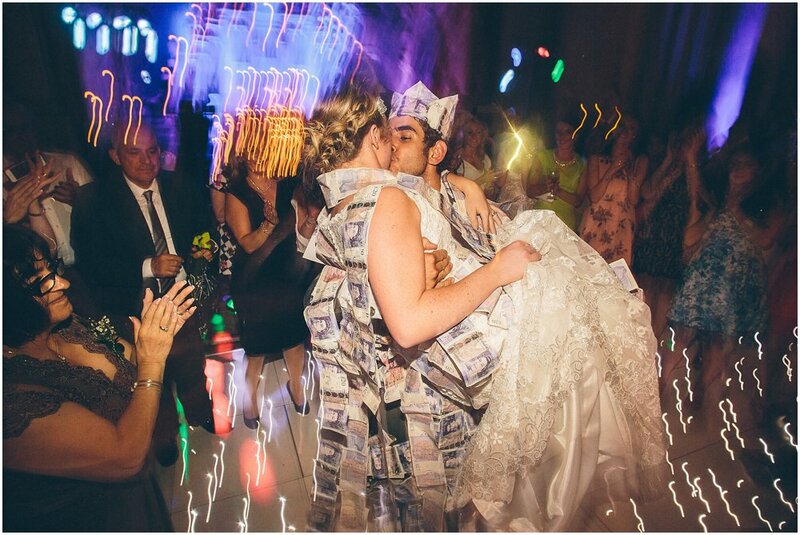 I like this image for the energy it exudes and for the fact that it celebrates an awesome event held at all Greek weddings… the Money Dance! I love my job but sometimes it can become a bit predictable and you can kind of foresee what will be happening next. Well not at this wedding! This was my first Greek wedding and I knew they were having a money dance but I had no idea what to expect. 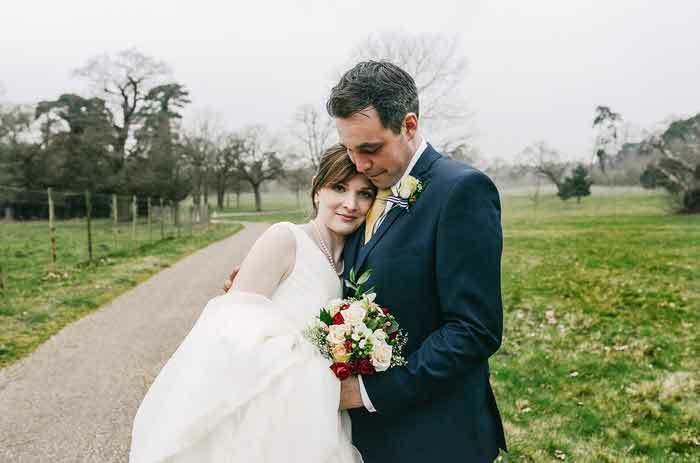 It was such an incredible sight seeing so many friends and family being so generous by pining bank notes to the happy couple with a traditional Greek song playing in the background – amazing!" say photographers The Crawleys. What time should the party start? Is there such a thing as too early? Any time after 7pm is when the party should begin. Bear in mind the venues rarely let the party go on too late, and having a good five hours of music and entertainment to allow there to be a good progression through the night is key to a top party. Remember that your evening guests will only just be arriving, so they need to have time to have a drink, let their hair down and enjoy the celebration in hand! What are the top 3 atmosphere killers? 1. 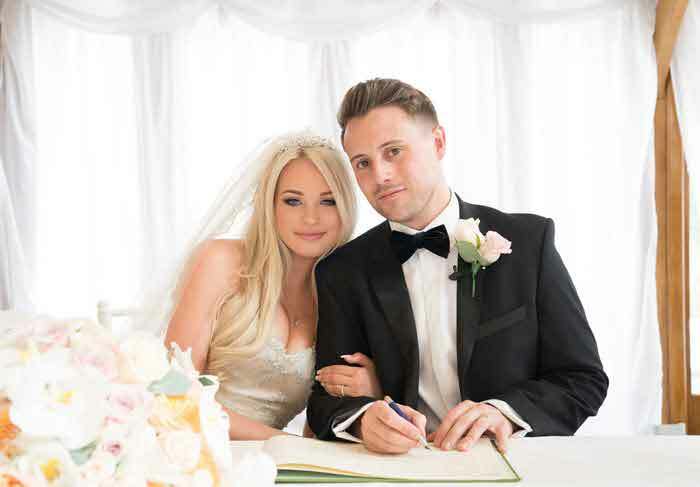 Poor song choices will soon clear a dance floor….. having a good quality DJ that is in tune with current trends but also has a wide musical knowledge to cater for your wider ages range of guests. 2. 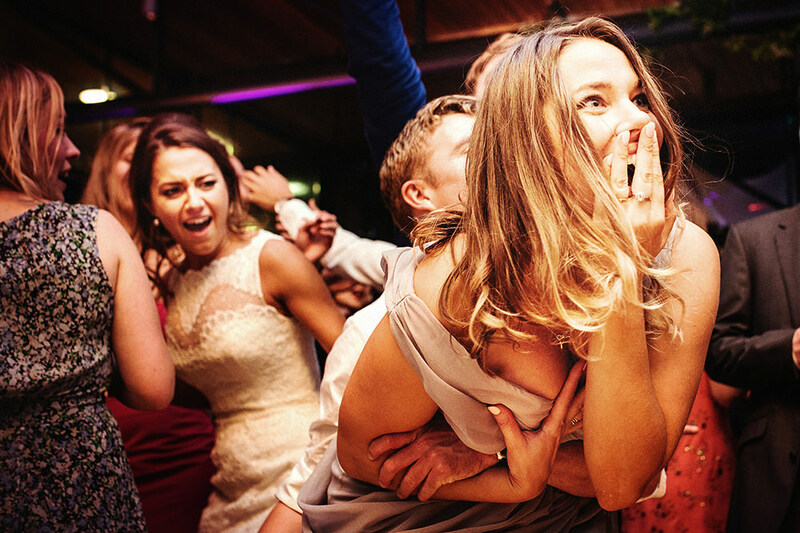 False Fire alarms and unnecessary sound limiters will soon stop a party so making sure that any sound limiters are assessed prior to the big day is imperative. You don’t want the sound to stop half way through a live set. 3. Occasionally it has been known for a guest to want to do a speech of some kind during the evening party, this is fine but making sure that it is done earlier in the night instead of when the party is in full flow. 9 times out of 10 this completely ruins any party vibe that had been built. "We love the dancefloor. It’s one of the best parts of the day for us and we always stay late. 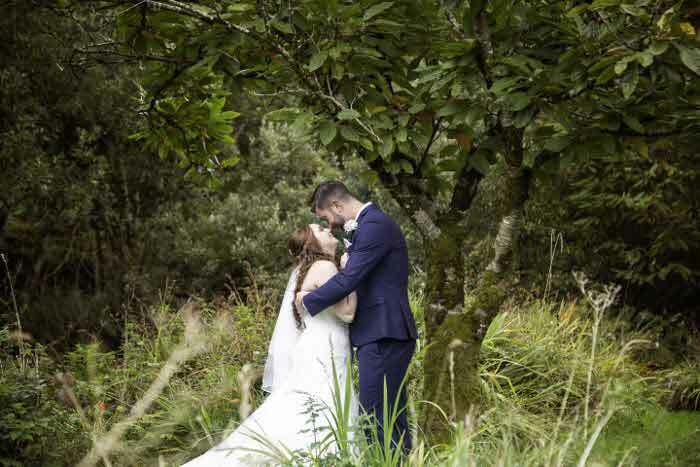 People letting loose and celebrating with the newlyweds is amazing and seeing Tamara having the time of her laugh mucking around with her friends was just the best way to end our day," say photographers Jackson and Co Photography. Do you have any tips to guarantee fun? This is really easy: always hold back something, so that there is some kind of surprise for guests to enjoy as the evening progresses. This can be a visual surprise in terms of the design and look of your room when guests first enter, to making sure that the entertainment showcases at the right parts of the night. Always keep the atmosphere chilled out as guests arrive before building the night with the DJ and any entertainment. "This wedding the Shireburn Arms in Clitheroe did not want for dance floor action. 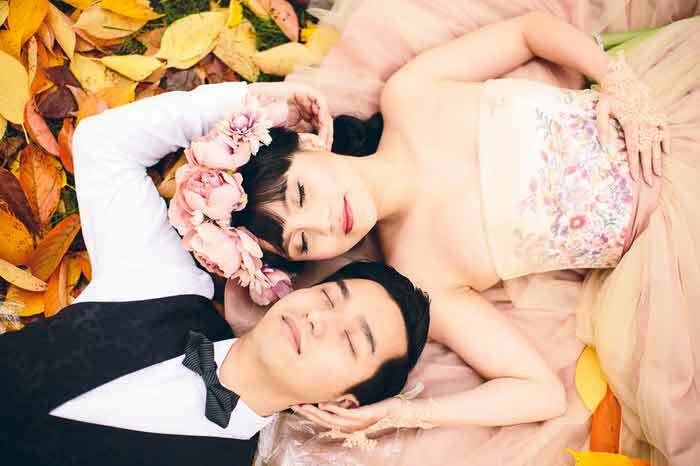 The bride and groom had planned out an epic routine, so epic it required a change of dress - there's only so much rolling over your husband's shoulder you can do in a wedding gown! This really did set the tone for the whole evening, and the dance floor was all out action until the end," say Lawson Photography. "One of the groomsmen decided to jump behind the bar and take a bottle of vodka for the dancefloor. I spotted him pouring vodka down people, and so jumped in super close to get this frame. 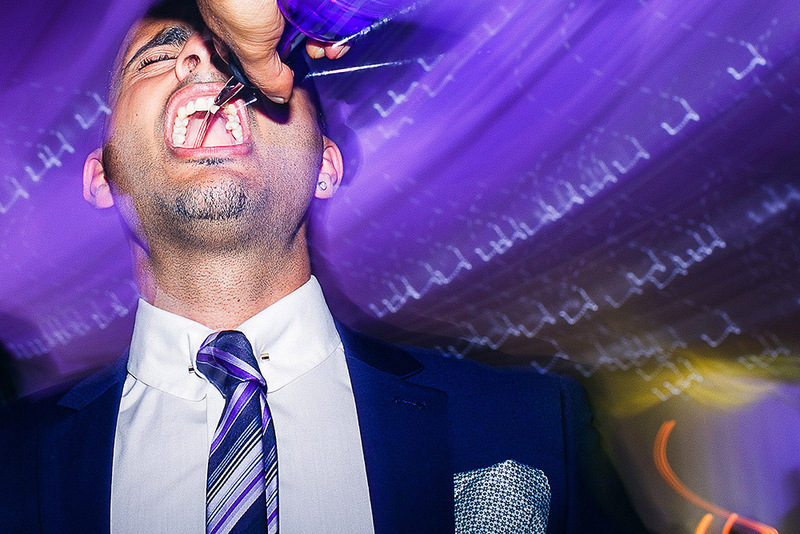 This was one crazy party, and I love getting close in on the action," says Rahul Khona of F5 Photography. 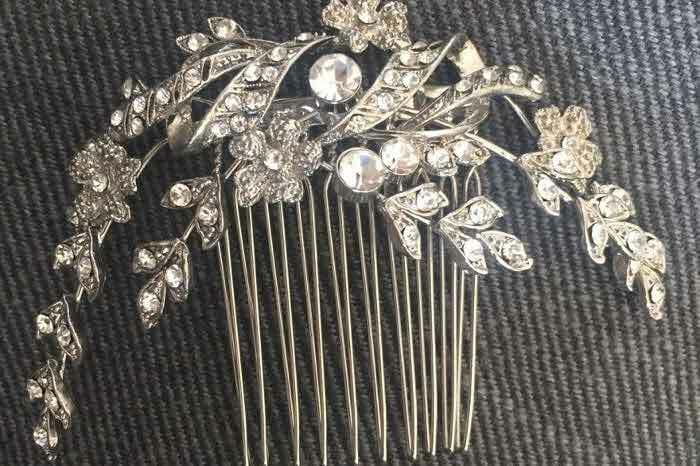 What was the best wedding party you ever witnessed, and what made it so good? "Give men enough to drink and something that resembles a pole and at some point they will try to limbo dance under it. 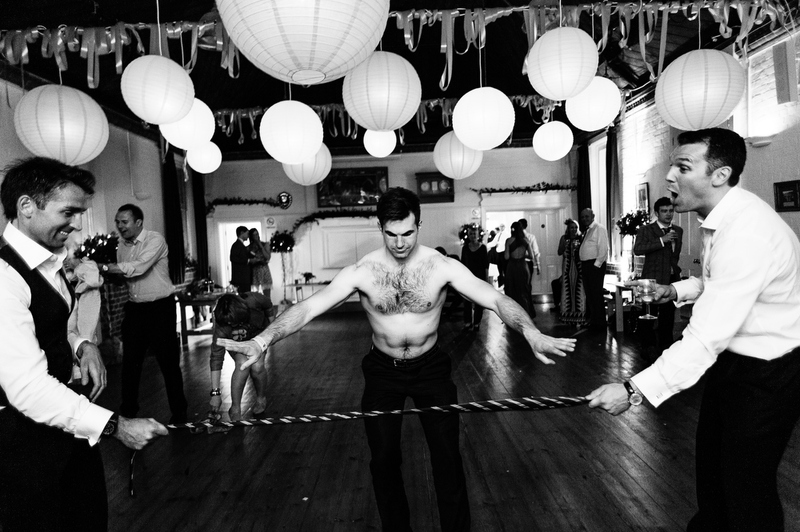 This was taken at Kate and Sam’s Hampshire wedding, with a stripped off limbo dancer and a tie as his pole," says Stephen Bunn Photography. Music selection is huge when it comes to either completely clearing a dance floor, or getting the party started. I have been to way too many weddings where the song selection started off slow with the first dances which was wonderful, but as soon as it hit transition time, the music just wasn't hitting it. Paying an expensive DJ is worth every single penny for a wedding.